The global manufacturing company installed a G4 member as CEO in 2017 and plans to refresh its board. The family is also making changes in the family office and family foundation as it works to educate G5. Today, the company, based in Mundelein, Ill., operates 23 factories all over the world that make engineered components for the electrical, telecom and automotive industries. MacLean-Fogg has two primary businesses: MacLean-Fogg Power Systems, which serves the electric utility, telecommunications and civil markets; and MacLean-Fogg Component Solutions, which serves the automotive, heavy truck and other industries. As MacLean-Fogg’s leadership moves from the third generation to the fourth, the company is managing change on several fronts: in its leadership, its board, the shareholders, the family foundation and the family office. “This company and this family are going through predictable but profound transitions in both leadership and governance,” says Rodney L. Goldstein, co-managing partner of Wealth Strategist Partners, a firm that manages wealth and advises large, complex families with substantial assets. He started informally advising the family almost a decade ago and joined the board several years ago. 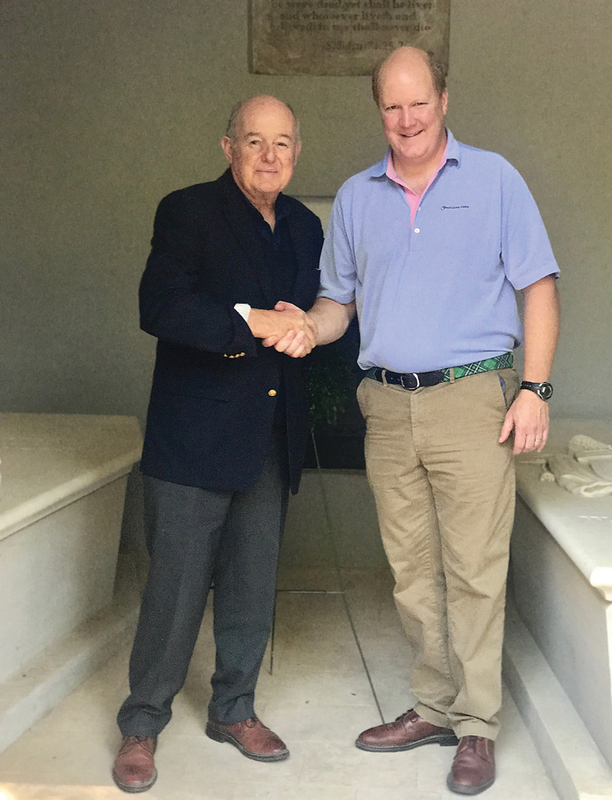 Barry MacLean, 80, the sole third-generation member in the business (with the exception of his brother David, who serves on the board), remains as chairman but has turned over the president and CEO role to his son, Duncan, 47. Barry’s five children are becoming active shareholders: Liz Larned, 57; Margaret MacLean, 54, who recently left her position with the operating business; Duncan; Gillian Growdon, 45, who runs the family office as executive vice president of shareholder relations; and Adrian Jay, 43. The transitions, some of which are still ongoing, have been taking place — with careful planning — over the past several years. “A company doesn’t get to be 94 years old if you do things impulsively,” says Duncan. The company was founded in 1925 by John A. MacLean, the great-grandfather of the current CEO and his siblings. He was followed as president by his son, John A. MacLean Jr., and, in 1972, his grandson Barry. 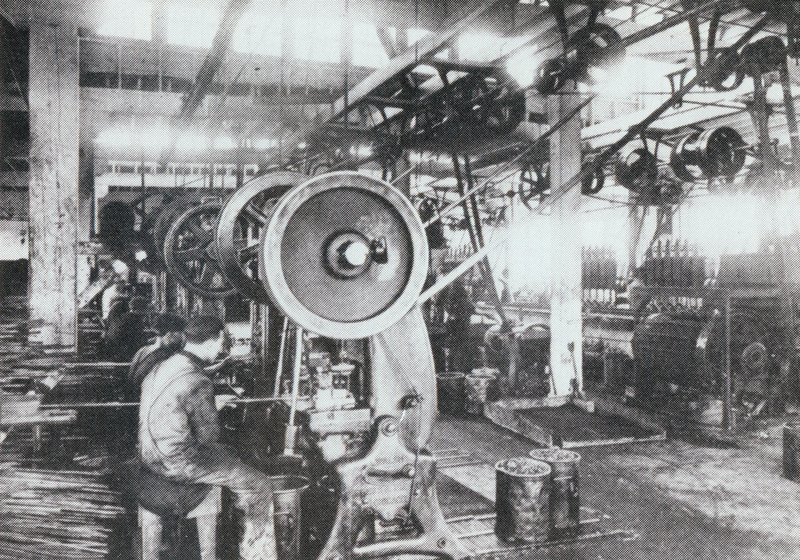 The company started out manufacturing nuts and bolts, primarily for railroad cars. (The “Fogg” in the company’s name recognizes Jack Fogg, an early employee who was key to the success of the business because of his connections in the railroad industry.) Over the years, ­MacLean-Fogg has expanded to make parts for automobile manufacturers and power companies. Barry grew up with two older brothers, spending many Saturdays at the office with his father. He loved building things and tinkering; he recalls heating up lead to make lead soldiers and building a chicken coop with his oldest brother. “I had several businesses in high school and college and enjoyed working with my hands to solve problems and offer services in my community,” Barry says. Barry gradually bought out the shares of his older brother’s family, as well as those of the middle brother, consolidating the ownership. During the 1978-80 recession, the company saw its sales plunge, with business from the railroad industry shrinking by almost 90%. “Everybody took a hit financially, and we weathered the storm,” Barry says. With the railroad business taking a while to recover, Barry focused on building the automotive business. He eventually sold the railroad part of the company and made an acquisition to start supplying the power industry. For a time in the mid-’90s, MacLean-Fogg also made products for the healthcare industry. Barry’s children remember the easy mixing of business and family as they were growing up. “We really were a family business — customers and colleagues of my dad were always coming and going through our house,” says Adrian. “My mom had the ability at the drop of a hat to entertain people.” Barry’s wife, Mary Ann, died in 2016. Adrian and her husband are co-founders of Random Acts of Flowers, a non-profit organization that delivers bouquets of recycled flowers to people in hospitals, assisted living facilities and hospitals. She has never worked full-time for the company but is very engaged as a shareholder, working with the MacLean Family Foundation and bringing her children from Tennessee on plant visits, for family assembly meetings and to the annual company Christmas party. 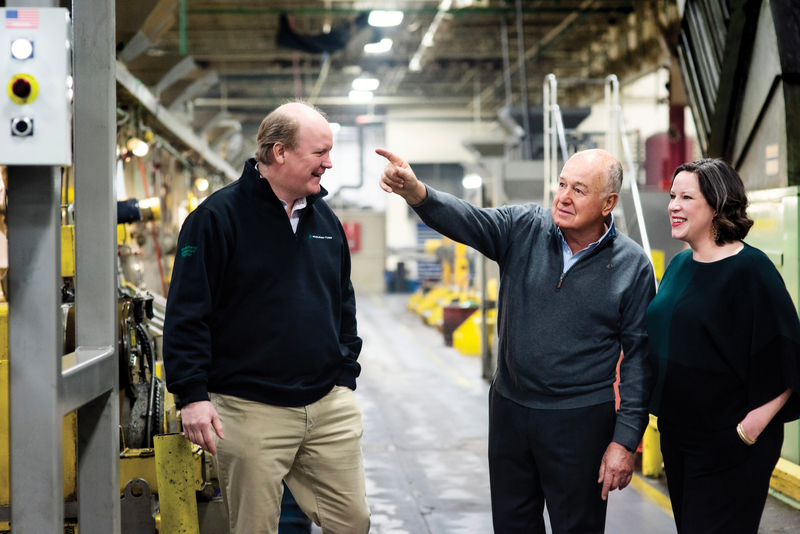 Duncan’s ascent to the role of president and CEO was the culmination of years of training at the company and with one of its partners. “I started in quality control and learned what happens when something goes wrong with the manufacturing of complex parts,” Duncan says of his early jobs with MacLean-Fogg, during high school and college. He also worked in the maintenance department doing cleanup. “These are the kinds of jobs that were hard at the time but have paid real dividends — all the guys know that I haven’t always had a desk job,” Duncan says. 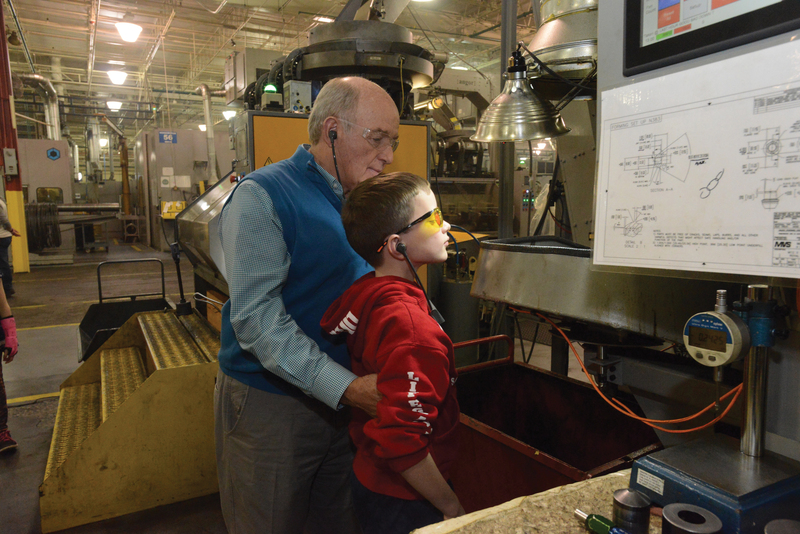 Later he worked in the machine shop, which convinced him that he wanted to be an engineer. Duncan joined the company full-time as a manufacturing engineer for MacLean Power Systems right after graduate school, in 1996. He was elected to the board in 1998. He points to two pivotal events in his career: his move to Germany from 1999 to 2003 and his management of the automotive side of the business through the 2008 ­recession. MacLean-Fogg and a German company were partners in a U.S.-based joint venture, Metform. The German partner asked Duncan to work at a separate facility, Erich Neumayer GmbH. Duncan says that during those years he learned not only about another culture but also about other ways to do business. He also started a business there for MacLean-Fogg. He became president of the auto side of MacLean-Fogg in 2008 and was immediately challenged by the recession. He managed the business very tightly and closed or sold five plants. Most of the production assets of the German business he had started were sold at this time. Duncan took over as president of all of MacLean-Fogg in 2015 and as CEO in 2017. The transition means more than just a new family member as CEO. The transition to a new CEO is also leading, gradually, to a revamping of the board of directors. Independent directors have served on MacLean-Fogg’s board for decades. Today, the board consists of four family members and seven independent directors. A governance committee, a subset of the board under Goldstein’s leadership formed in 2018, is looking at how the board’s composition may evolve. Committee members are considering the ideal size and mix of experience to support the new CEO and the company’s next chapters. The committee is building a bridge between the board and the shareholders, meeting twice a year with the next-generation shareholders, Barry’s children. The MacLean family office is also in transition, moving from primarily supporting Barry to now supporting all six shareholders, as well as other family members. “Everything has grown in complexity from the way it has historically been managed,” Goldstein says. The family office has existed for more than a decade. Until recently, it primarily supported Barry. In May 2016, Gillian took over the family office as part of the effort to expand it to serve the households of all six shareholders. As executive vice president of shareholder relations and head of the family office, Gillian oversees family estate planning, tax planning, financial planning, shareholder education for the current generation of shareholders and the next, and family gatherings and retreats. She also oversees, in consultation with Barry, the family’s investments outside of MacLean-Fogg, in private equity and other small operating businesses. The initial priorities for her office, as set by the family shareholders, were to kick off education of the next generation with a family assembly, increase communication and transparency, manage family-owned assets and offer help with tax compliance. “The first thing was to get everyone together and tell them about our legacy, stewardship, and what the company does. We’d never actually done that,” says Gillian. A key part of this transition is separating the operating company and the family office. Along with the leadership changes have come changes in ownership. The company’s six shareholders are Barry and his five children. Although the fourth-generation siblings have long been shareholders, the majority of the voting shares have remained with Barry. Barry is now transitioning the leadership and responsibility of being a shareholder to the fourth generation. No members of the fifth generation are shareholders yet, which is a future area of focus for the company. The shareholders have made a formal decision that the perpetuation of the business under family ownership is a key objective — giving the board clear direction about the shareholders’ desires. The MacLean Family Foundation is also going through changes, becoming a full grantmaking foundation. Adrian is president; Duncan’s wife, Brooke MacLean, is vice president; and Gillian is secretary. The foundation, the vehicle for the family’s giving, has long supported the Brookfield Zoo and other causes. The family has faced challenges in making all these transitions work. One example: balancing the multiple roles the family members play at work and at home. While the transition to the fourth generation is under way, the family is looking ahead to future generational changes. There are 12 members of the fifth generation, ages 7 to 23. Two of them have participated in internships at the company. At family assemblies, the family has started teaching younger family members about legacy, stewardship and the values of the family in business and in life. In addition to working with Goldstein, the family has engaged Renee Montoya Lado of Strategic Designs for Learning, who serves as a coach for the five fourth-generation siblings and their spouses. Elizabeth Kieff and Tom Levinson of LK Advisors designed the curriculum for the family’s annual assembly and provide coaching for the fifth generation. It’s too early to identify a successor to Duncan, and family members are open to many options. Margaret Steen is a freelance writer based in Los Altos, Calif.